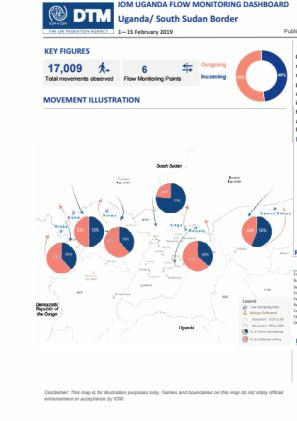 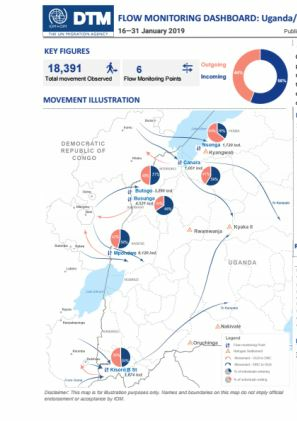 Over the reporting period a total of 18,391 movements were observed at six (6) ﬂow monitoring points at the border with the Democractic Republic of Congo (DRC). 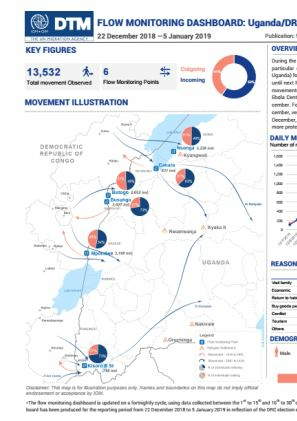 Inﬂows into Uganda were slightly higher (56%) than outflows to DRC (44%). 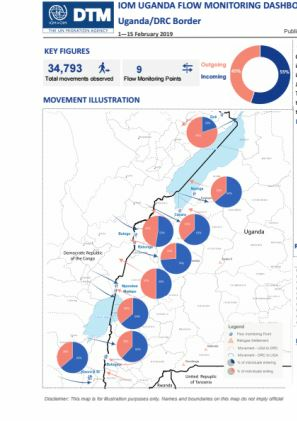 The volume of ﬂows increased gradually towards the end of the month, with the majority of the ﬂows coming into Uganda and peaking on the 30th of January. 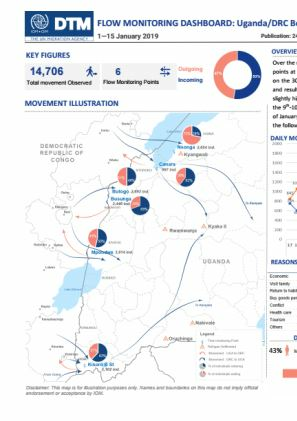 On the 30th, IOM recorded the highest peak in outflows to DRC which reduced by a quarter the following day and remained consistent until the end of the reporting period.